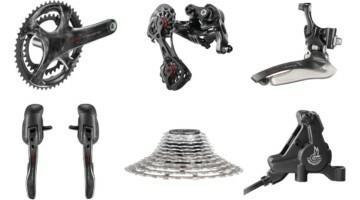 For those of you who are Campagnolo die-hard fans, you don’t have to continue to lust after the electronic ease of your Super Record EPS or Shimano Di2 shifting-friends, or envy over the new SRAM Red CX1 groupset your CrossResults nemesis is running. 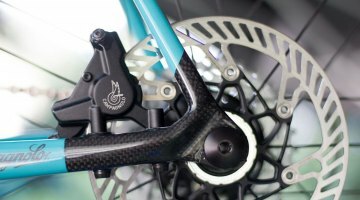 Campagnolo trickle-down technology should make upgrading components more affordable. 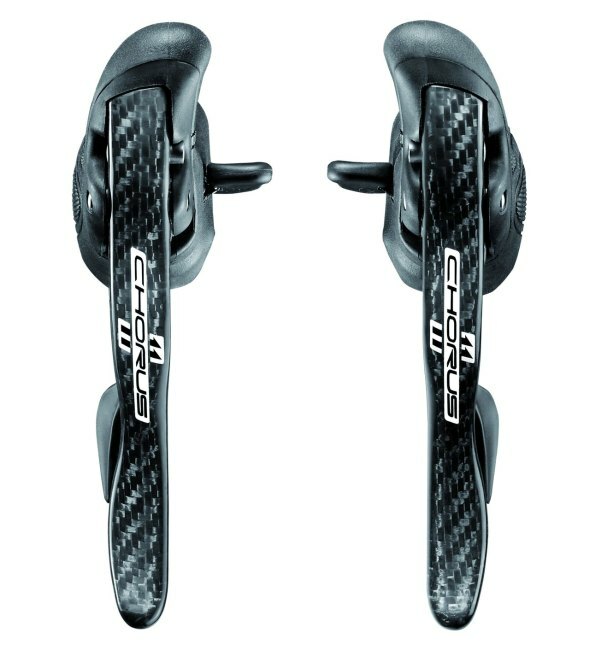 Between the recently-introduced Campagnolo Chorus EPS electronic shifting system and now the new Campagnolo Super Record, Record and Chorus groupsets, there are plenty of new toys out there for you as well. 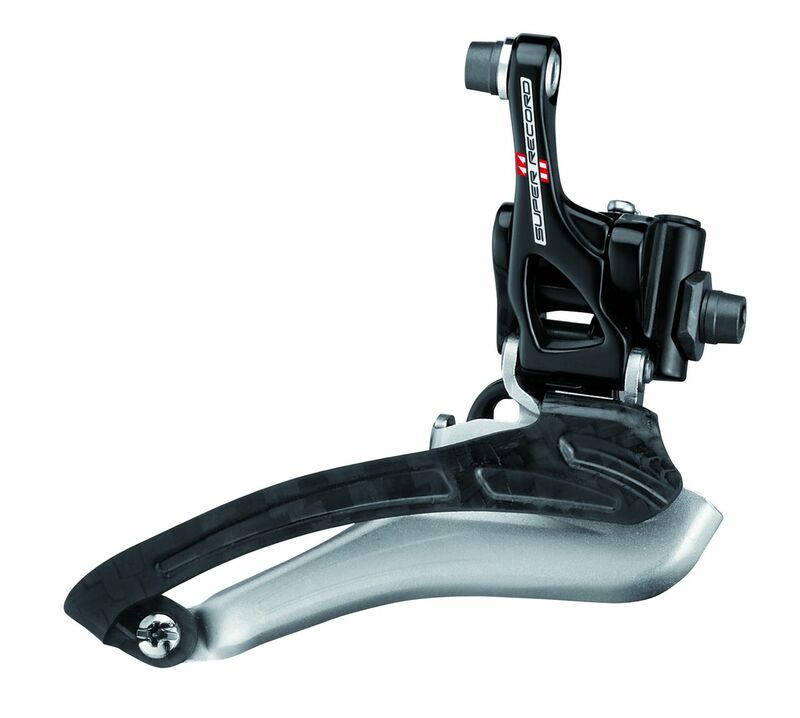 The new 2015 Chorus rear derailleur from Campagnolo. 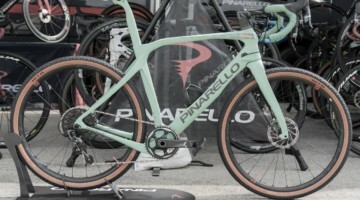 For the legions of fans and owners of Campagnolo Chorus, made famous for its quality and performance characteristics in mechanical shifting, there is now an electronic alternative. 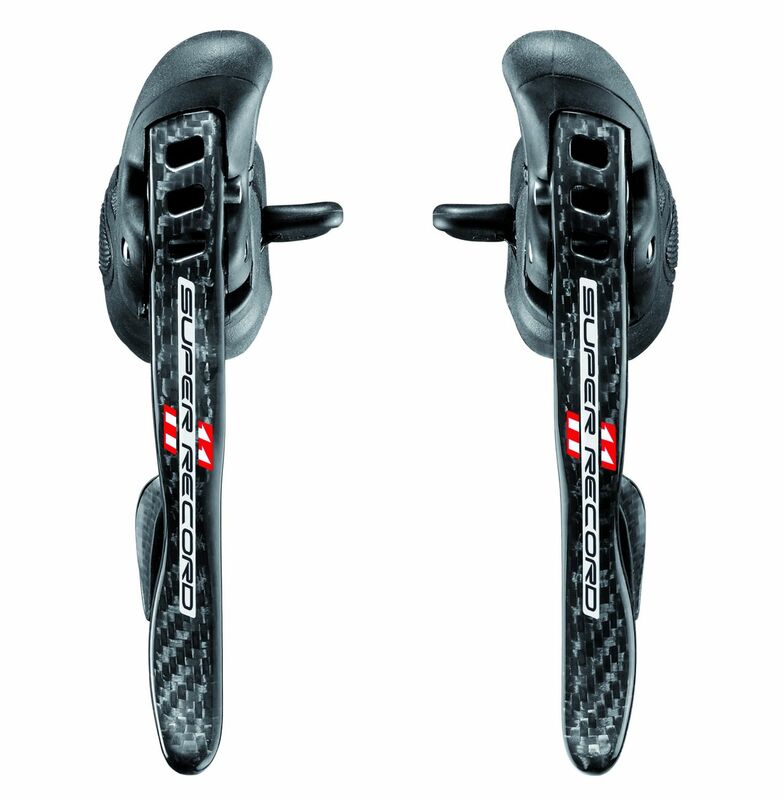 Carbon levers in the Campagnolo Chorus group keep the profile sleek and the weight light. Those who appreciate the ergonomics of the mechanical version will appreciate the similar Ergopower but also love the improved placement of the thumb shifting lever, made even more accessible no matter the position of your hands. 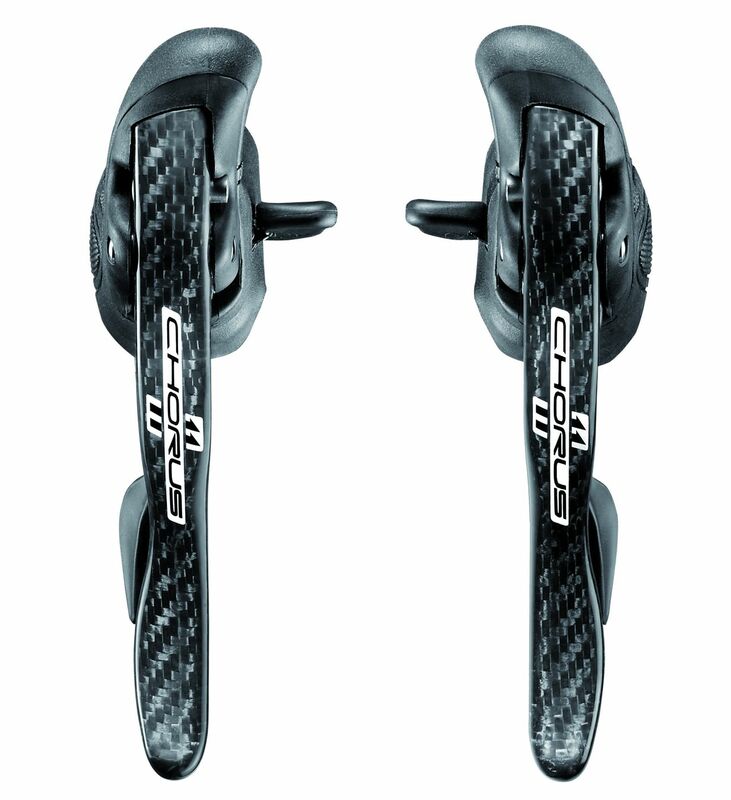 Carbon brake levers offer maximum rigidity and limited weight, just as with the mechanical version. The Chorus EPS boasts an internal EPS V2 power unit which makes for a clean build with all of the advantages of electronic shifting minus any visible extra hardware. The internal power unit also improves system integrity with the EPS processor and power unit safely tucked away from possible impact or contamination from outside elements. 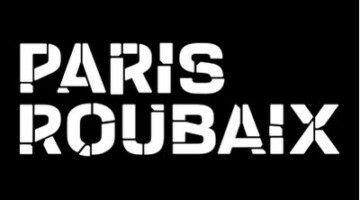 The shifting performance of the Chorus EPS groupset is exactly the same as its lighter weight siblings, Record and Super Record, making for a transmission fit for professional racing. 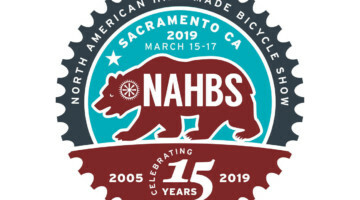 “Its extremely powerful motors are capable of producing levels of torque without rival in electronic shifting which guarantee precise and effective shifting no matter the conditions or circumstances,” according to the company. 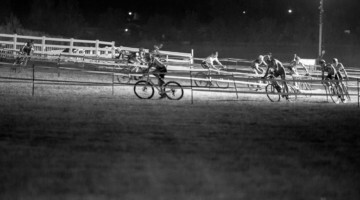 ’Crossers will notice that shifting even under heavy load is no problem for the Chorus EPS transmission and mud, grime and debris may have met their match against the motor. With an IP67 waterproof rating on the entire system, rain gear is only necessary for the cyclist, not his groupset. The new Super Record, Record and Chorus groupsets feature an all new front derailleur with the inner cage that uses the SC-14/Super Record RS form. However, the Super Record RS used an aluminum version as its prototype status made a carbon version more difficult to produce in the short term. 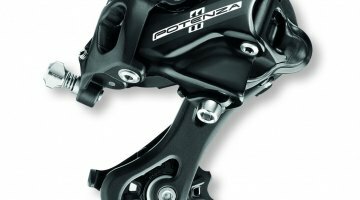 The Super Record version of the new mechanical groupsets uses a one piece carbon derailleur outer cage that reduces weight while still maintaining the same rigidity and functionality. The new derailleur design uses a longer arm to increase leverage, requiring less hand movement and thus facilitates up-shifting to the larger chainring. 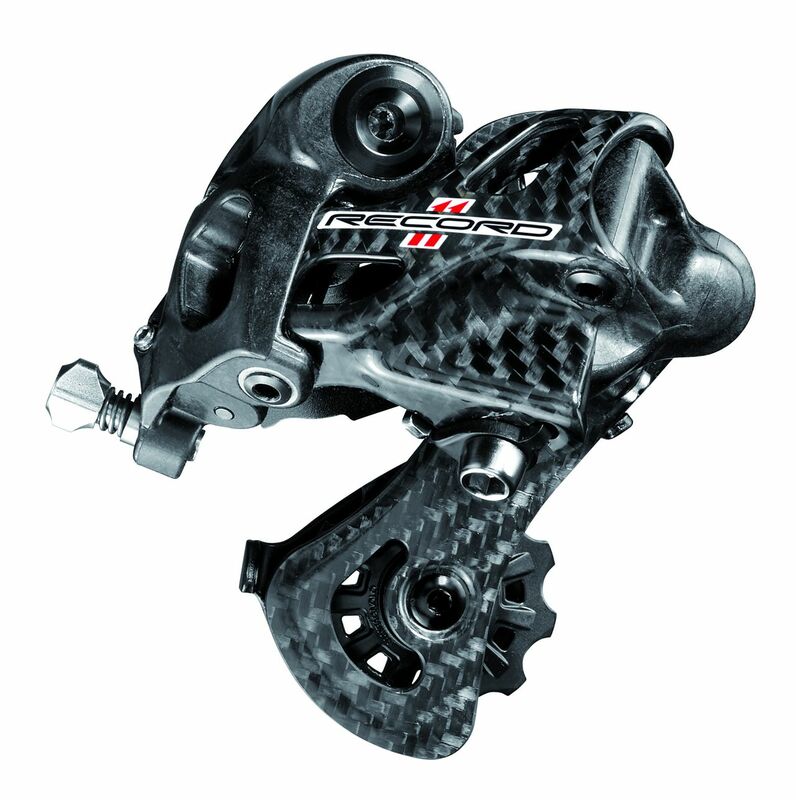 The new 2015 Super Record front derailleur from Campagnolo. 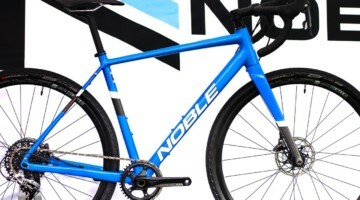 The chain will now grip more teeth and as a result disperse energy across a larger surface area, increasing the life of the cassette and lengthening the lifespan of the chain as well. 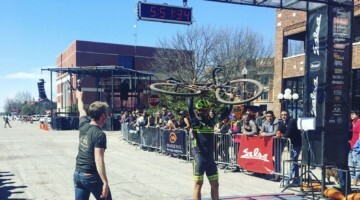 By allowing the derailleur to work closer to the cassette in every position the athlete can now take advantage of perfect alignment between cassette and rear derailleur in any given gear. The new internal structure of the rear derailleur also makes for easier shifting on the higher end of the cassette as it eliminates any resistance that could be encountered when moving the chain onto the 25, 27 or 29 cog. 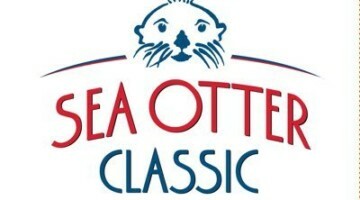 In short, the athlete will enjoy the exact same performance with an 11-29 cassette as he or she would with an 11-23. A new transmission calls for new commands to control this new, more efficient drivetrain. Campagnolo engineers worked diligently to develop a new internal functionality and index pattern without altering the highly lauded ergonomic design of the Ergopower commands. Two clicks will now downshift from large to small chainring with a third click for adjusting trim when using more extreme gears. 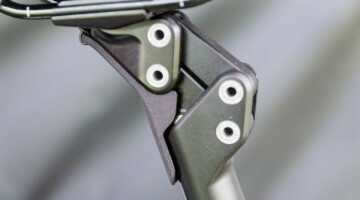 This new design keeps the derailleur cage in a preventative position that avoids any possibility of chain dropping in addition to making for faster, more intuitive actuation of the drivetrain. 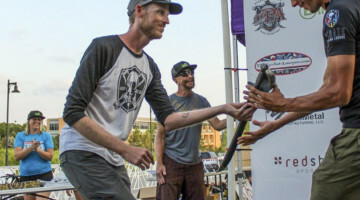 The new system uses three clicks for upshifting without the need for an additional click for trim as the new SC-14 design allows for shifting across the entire cassette without any interference between chain and derailleur cage. The “one lever-one action” system remains as does the Ultra-Shift system, the only available mechanical shifting system that allows for multiple downshifts (up to three gears at a time in upshifting and five in downshifting). This heightened performance and functionality comes along with improvements to what is arguably the most comfortable and ergonomic command on the market as well. While difficult to improve upon the feel of the Ergopower command, the internal side of the unit has been modified in such a way that it adapts itself even more closely to the wide array of handlebars available thus conferring greater comfort and control. Newly designed hoods in hypoallergenic silicone with differentiated density design along with internal groves and structure to provide additional comfort where needed and more solid grip elsewhere. 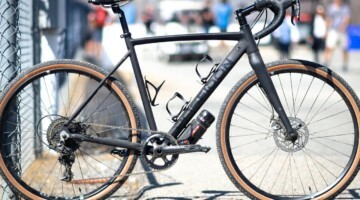 Will Campagnolo follow through with a new ’cross crankset? 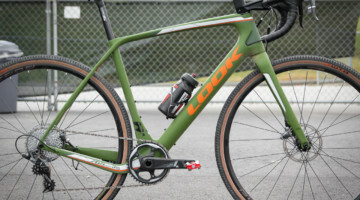 However, what the cyclocrosser who covets Campy will still be missing is a dedicated cyclocross crankset, though new road models were introduced in the lineup. 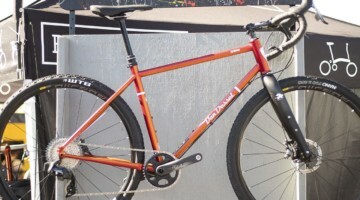 However, we’ve heard rumors of one in the works [See our review of the Chorus drivetrain in Issue 24]. 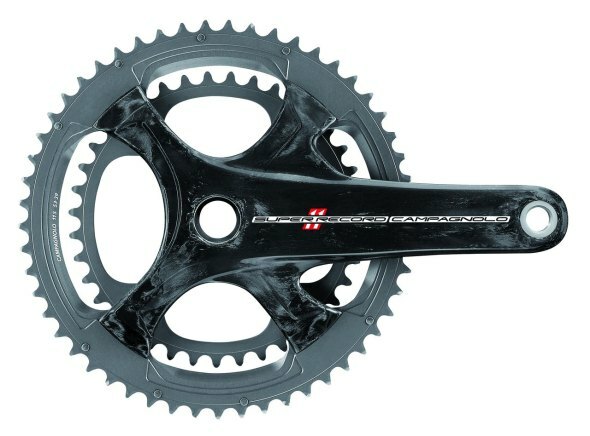 The new crankset, as with Shimano’s 9000 and 5800 cranksets, uses a four-arm spider design, which makes for one single crankarm for all chainring options thanks to its unified bolt pattern. 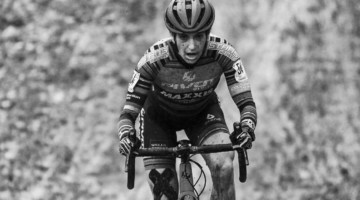 Gone are the days of having a dedicated bolt pattern for standard chainrings and another for compact rings, and the new bolt pattern allows for all three chainring standards 53/39, 52/36 and 50/34 to be built upon the same crankset. 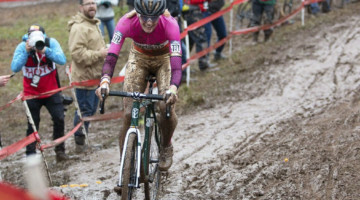 Changing between compact and standard is now as easy as changing 8 bolts and two chainrings, for those bold enough to race ’cross on a compact. 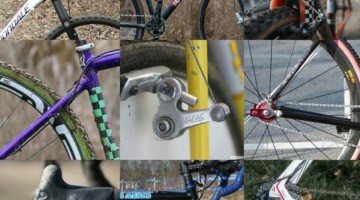 Thinking about drivetrains for next season? Make sure you check out our reviews of SRAM, Shimano, Retroshift and Campagnolo in Issue 24, available digitally here or as a back copy here. 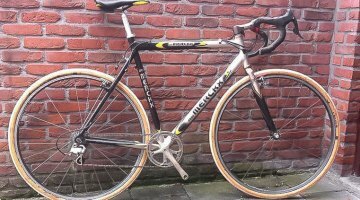 Mechanical ergopower doesn’t like water so I guess maybe the EPS it’s a better choice for cross. Derek, buy what you want. 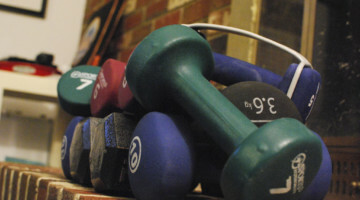 I am just sharing my experiences with ergopower in wet weather. I had to change the internals twice in two different sets of shifters. This never was the case with shimano. 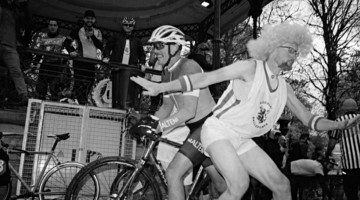 If I were Nibali I wouldn’t have these issues, that’s for sure. Campagnolo does offer cyclocross crankset in 10 & 11 speed and alloy and carbon. For the cost conscious out there, I can highly recommend a franken-shimergo setup, thanks to J-Tek with a BURD from Gevenalle. Cheap as chips! Campyonlyguy except on the electronic gruppos, of course. 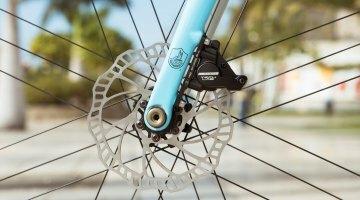 campagnolosrl i pesi dei gruppi meccanici nuovi sono disponibili ?